Merchants from the coast of Phoenicia established Carthage on North Africa's Gulf of Tunis around 800 BC. Soon, Carthage controlled all of the Mediterranean trade. It was only a matter of time before a growing Carthage collided with a growing Rome. Rome won the First Punic War (264-241 BC), took Sicily, and demanded Carthage pay them $3.2 million in war reparations. Carthage struggled to pay. To get money, Carthage's Hamilcar Barca conquered Spain and developed rich mines. In 221 BC, his son Hannibal [pictured left] took command. During the Second Punic War (218-201 BC), Hannibal invaded Italy, destroying the Romans at the Battle of Cannae. 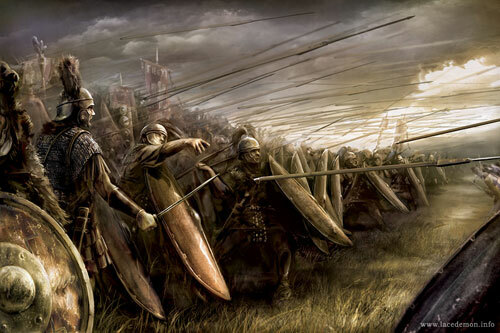 Rome lost 77,700 troops in their greatest defeat ever. Rome responded by attacking Carthage, forcing Hannibal to return home. Rome won and punished Carthage with another fine and took all of their possessions outside Africa. 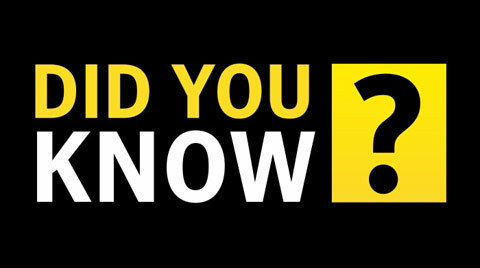 In 183 BC, Hannibal committed suicide. Rome seized upon a minor offense to wage the Third Punic War (149-146 BC). After a three-year siege, Carthage fell. The survivors of the city were sold into slavery. Rome burned Carthage to the ground, plowed under its remains, and salted the earth. of Carthage comes from its Roman enemies, which means bias is a concern. 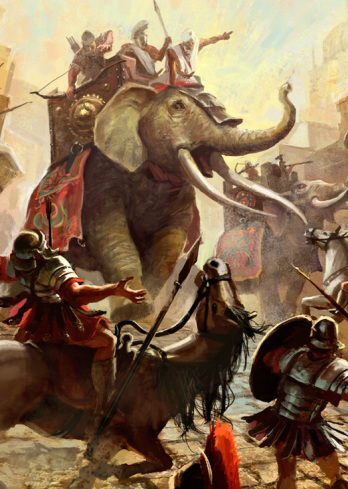 During the Second Punic War, Hannibal completed one of the great marches in history. He took African war elephants across Southern France, through the Alps, and into Northern Italy. While he lost one-third of his troops during the five month icy crossing, the elephants made up for this in the battles against Rome.